The sleek lines, unique shapes, and bold colors of Art Deco design are still eye-catching today, almost 100 years after the movement’s heyday. One of the most recognizable artists and designers of the Art Deco period may be Erté, who created breathtaking paintings, prints, costumes, and set designs. 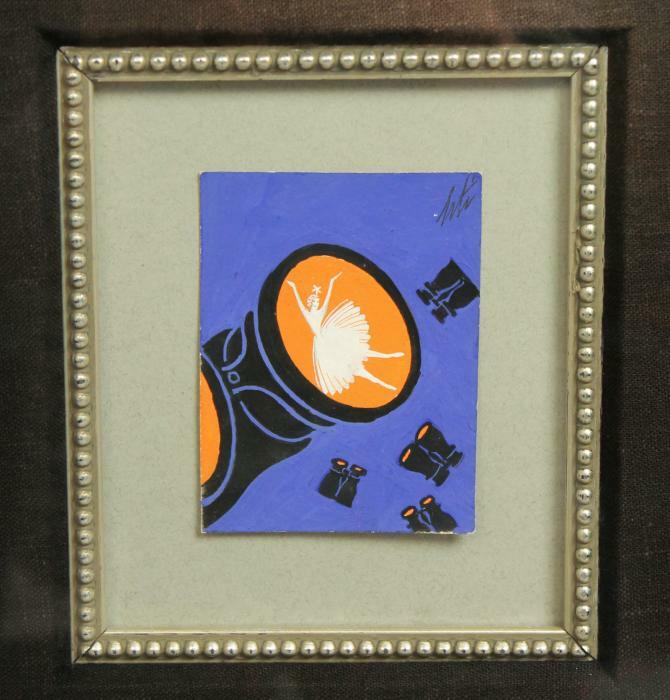 We are excited to feature two original gouache paintings by Erté: “Don Juan” and “Holeproof Hosiery XII”. Erté (1892-1990) was a Russian-born French artist. Born into a distinguished family, his given name was Roman Petrovich Tyrtov. Despite the wishes of his father, an admiral in the Russian fleet, and his family’s expectations for him to become a naval officer, he followed his dream to become an artist, moved to Paris, and took the pseudonym Erté to avoid disgracing his family. In Paris Erté worked as a designer for the renowned French couturier Paul Poiret from 1913 to 1914. In 1915, Erté contracted with Harper’s Bazaar magazine where he started designing costumes and stage sets. From 1915 to 1937, Erté designed over 200 covers for Harper’s Bazaar. Other notable works created by Erté were published on the covers of magazines such as London News, Cosmopolitan, Ladies’ Home Journal, and Vogue. He was well known for his elegant fashion designs which captured the spirit of the Art Deco period; his earliest success was designing costumes for the French dancer Gaby Deslys. After gaining fame in Paris, Erté left for Hollywood to design costumes and sets for the silent film Paris. However, the film faced many delays and, to keep him busy, the studio also had Erté work on sets for movies such as Ben-Hur, The Mystic, The Comedian, Time, and Dance Madness. One of our original featured works of Erté, the 1930 gouache painting “Don Juan”, is a great example of his high Art Deco style. The well-known literary character was a wealthy man who devoted his life to the act of charming women. 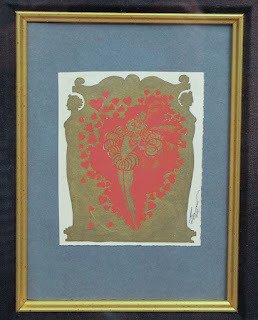 In Erté’s painting, Don Juan is appropriately depicted surrounded by hearts, with stylized women’s silhouettes at either side. The use of contrasting colors and difference of style between the green women and the passionate red color of Don Juan, brings the viewers eyes inward and onto the character of Don Juan and his influential personality, so artistically depicted in this painting. Our second original featured artwork by Erté is a gouache painting titled “Holeproof Hosiery.” This mysterious and evocative painting depicts various opera glasses reflecting light, one reflecting the white elegant figure of a ballerina. The orange reflecting light contrasts with the purple of the background and the white ballerina figure at the center stands gracefully within the orange, capturing the eye. Erté was known to have created artwork for advertising, and this piece may have been for such a purpose; however, this particular painting remains something of a beautiful mystery. 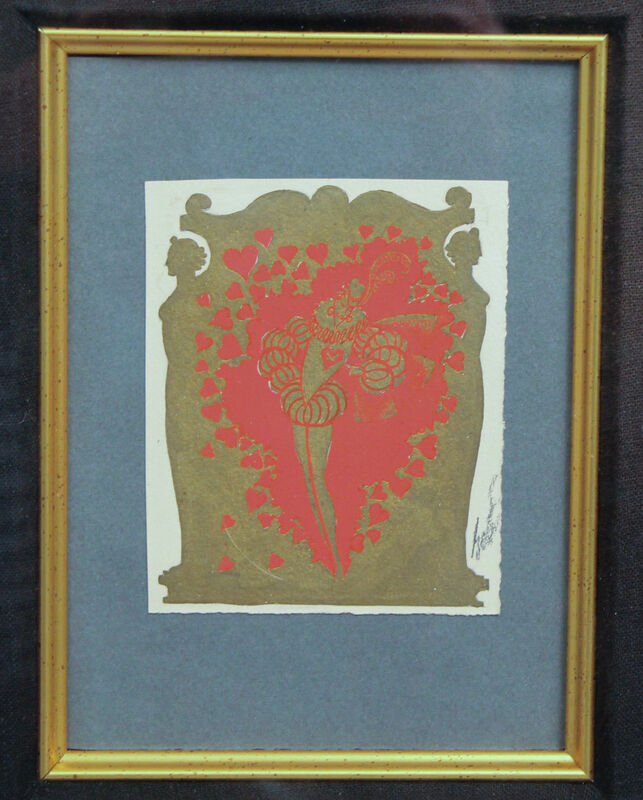 Both of these original gouache paintings are striking examples of Erté’s distinct style, and each is accompanied by a Certificate of Authenticity. Check them out in our store by clicking here!